The town of Abingdon is located in Washington County and was named after the ancestral home of Martha Washington. The Barter Theatre, considered the "State Theatre of Virginia," is one of the longest-running professional regional theatres in the nation. 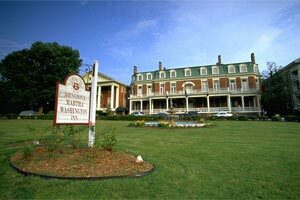 The town is a Virginia Historic Landmark and located in the Historic District is the Martha Washington Inn, a Four-Star, Historic Hotel of America, which was built in 1832.